The Redfield Revolution 3-9x40mm Riflescope is part of the rebirth of an American legend that offers unmatched array of optical, mechanical and functional features, all at an affordable price. Revolution 3-9x40mm Rifle Scopes from Redfield are made in Oregon using state-of-the-art design, manufacturing, assembly, and testing techniques. 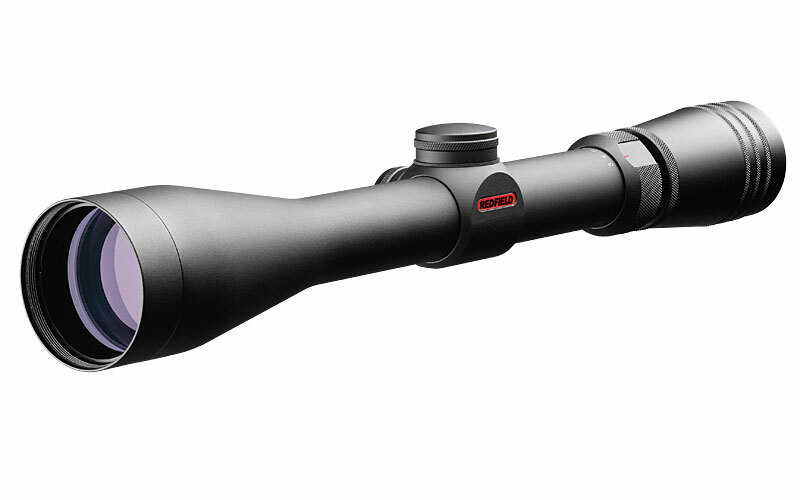 This riflescope produces optical, mechanical, and functional superiority that no import can rival. The Illuminator Lens System combines premium lenses with cutting edge vapor-deposition coatings for best-in-class light transmission in the critical low-light/blue wavelengths most common when game is active. For absolute long-range precision, the Accu-Range reticle provides hold points to 500 yards with matchless simplicity and deadly accuracy, while meticulous attention to detail generates the ultimate repeatability and reliability of the Accu-Trac adjustment system. Painstaking design effort resulted in Redfield's exclusive rapid target acquisition(RTA) technology, meaning no more missed opportunities because you couldn't find the "sweet spot" behind the scope. And, tested to levels that literally render competitive scopes useless, you can rest assured that your Red Field Revolution Hunting Riflescope is absolutely waterproof, fog proof, shock proof, and covered by the Redfield full lifetime warranty. These features of the Red-field Revolution 3-9x40 Rifle Scope show why a Redfield riflescope is quality American craftsmanship at its best, sending the competition home on a slow boat.